That’s the story told by new data on incomes, which show that white, Asian and Latino residents saw increases in 2014, but blacks saw their incomes fall by nearly 5 percent, according to San Francisco Chronicle data reporter Joaquin Palomino. “For every dollar earned by the median white household statewide last year, black households made 58 cents,” Palomino writes. “Contra Costa and Santa Clara Counties reported close to the same ratio…In Alameda County, white households earned more than twice as much as black households.” The racial pay gap is largest in San Francisco, however. Only 27 percent of blacks own homes, compared to 36 percent of whites, Palomino notes, citing U.S. Census data. 28 percent of black households are in poverty–and only 8.6 percent of white households. The data are especially striking given that San Francisco is home to the nation’s liberal elite and the state’s political ruling class. Former U.S. House Minority Leader (and former Speaker) Nancy Pelosi regards the city as her personal fiefdom, and all of California’s statewide office-holders–all Democrats–also hail from the Bay Area. Other data confirm that the city’s black population has fallen precipitously, and now stands at only 6%–down from 13% in 1970. Only poor areas have seen an increase. The steep decline began in the 1990s–right at the time the dot-com boom boosted the city’s financial fortunes, and as ultra-liberal policies returned to vogue in urban America. 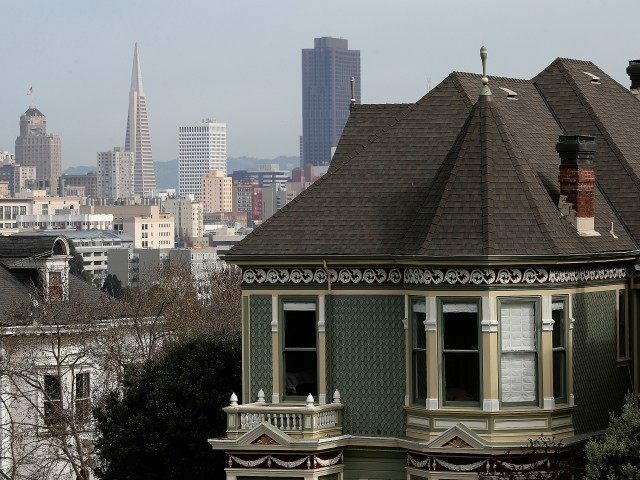 Economist Thomas Sowell blames environmentalists for promoting restrictions on housing construction that have made rental stock more scarce and more expensive, pushing many black families to leave the Bay Area over time.